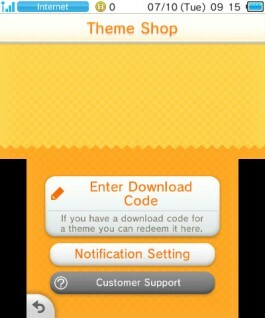 It's easy to download a new theme using a download code! Just follow our simple instructions below. 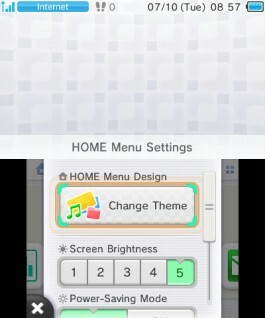 Step 1) First, touch the settings icon in the top left corner of the HOME Menu to bring up the HOME Menu Settings. 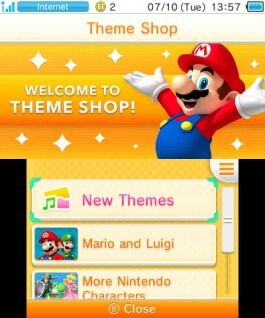 Step 2) Tap ‘Change Theme’ at the top of this menu, and then tap "Theme Shop". 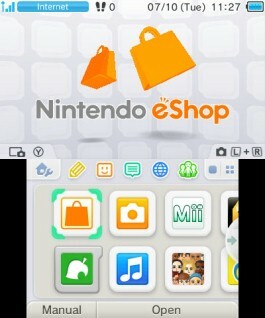 Step 3) Tap the menu button at the top right of the Touch Screen (three horizontal lines). 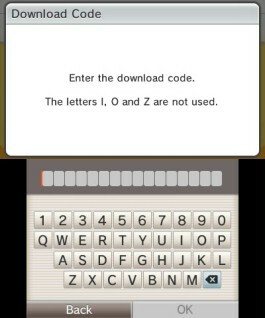 Step 4) Tap the 'Enter Download Code' button at the top of the next menu. Step 5) At the next screen, you will be prompted to enter your code. Tap OK - your download will begin. For help on changing Themes, visit our How to Download & Change Themes page. Please note: if you delete your Nintendo Network ID, any downloaded themes that are associated with that Nintendo Network ID will also be deleted.